I’ll get to the end of the story first – Lissa, Ducky, Julie and I were home before the freezing rain and sleet started in Dallas on Sunday night. …in one hour and 38 minutes – and for that we thank Bo and Claudia. The four of us could have done it but not nearly as quickly. Or as cheerfully. 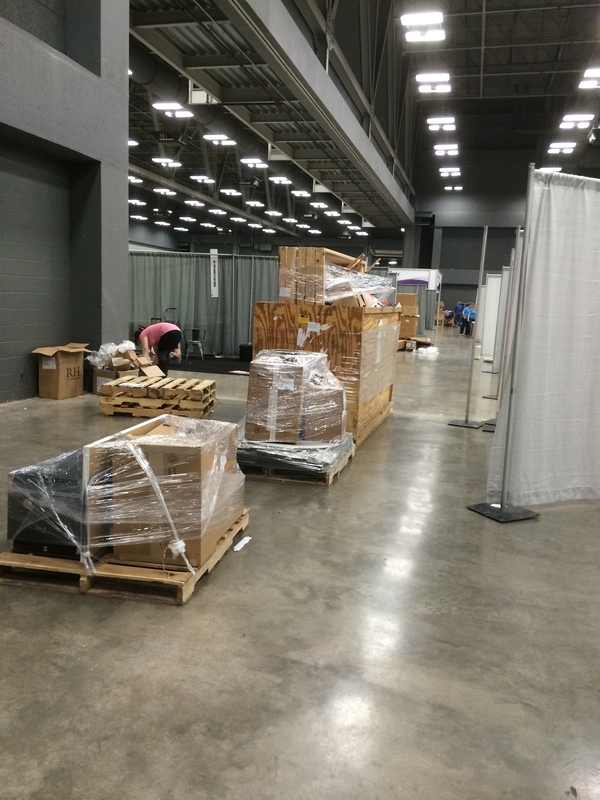 QuiltCon commenced Thursday morning and ran for four days. That meant four days of demos, lectures, full- and half-day workshops, shopping a large vendor “mall” and lots of spectacular quilts to see. 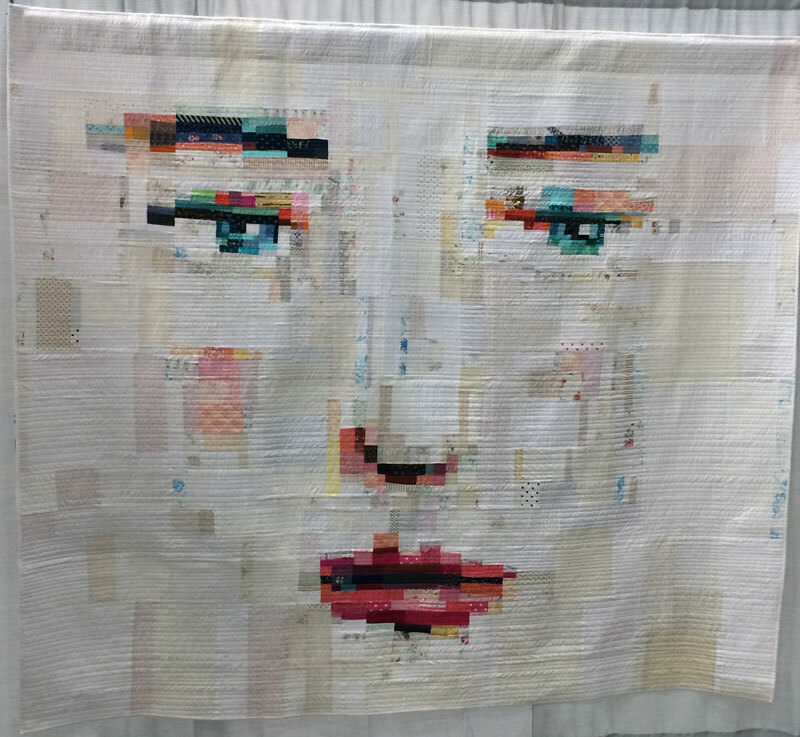 This is one of the more memorable quilts from QuiltCon – Face #1 by Melissa Averinos of West Barnstable, Massachusetts. Melissa challenged herself to make a large pieced face quilt without using a photograph, drawing or computer. Drawing on her experience as a painter, she improvised with fabric squares and rectangles to create an image as she would a painting. She wrote that after making her whole life, she cried with happiness when she finished this quilt. Of everything she’s ever made, this is her favorite thing. 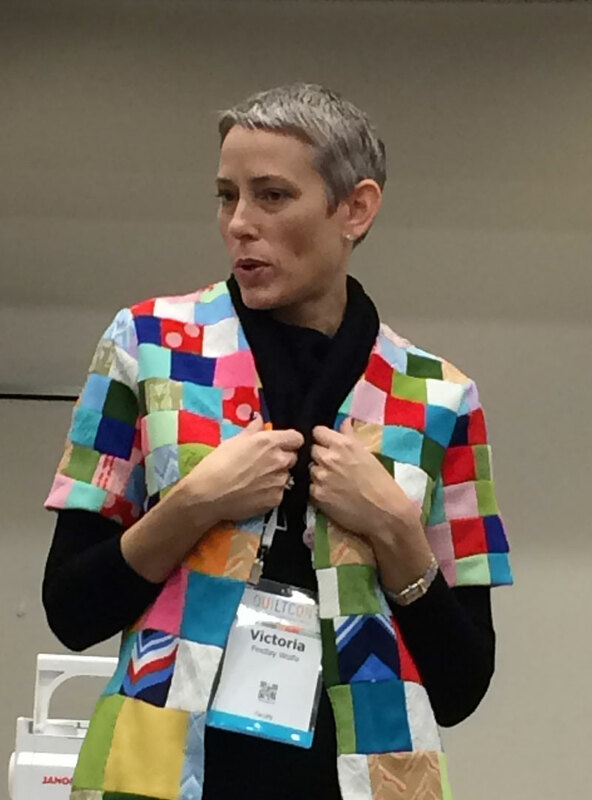 The short version – QuiltCon was inspiring, entertaining, informative, exhausting and a whole lot of fun. With one or two cranky exceptions, quilters are really nice people. 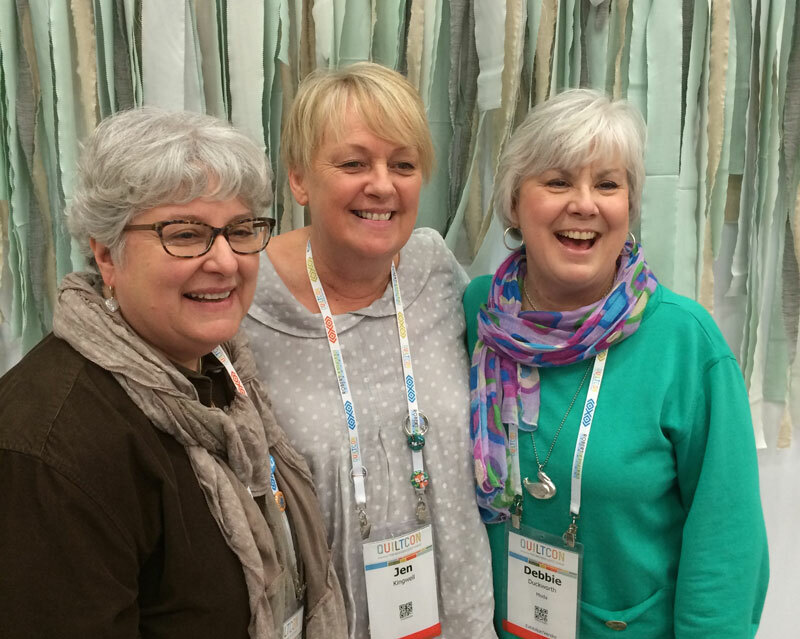 Everyone was happy to be in Austin, happy to be at the quilt show and happy to be surrounded by so many other like-minded folk. The long version – I loved every minute of it. Victoria Findlay Wolfe modeling a pieced, quilted jacket made with polyester fabrics from the 1970s. She collects polyester quilts and has quite a collection of them. I also loved the amazing variety of people attending QuiltCon. Like many people, I wondered if the attendees would be noticeably younger. I would say “yes” and “no”. 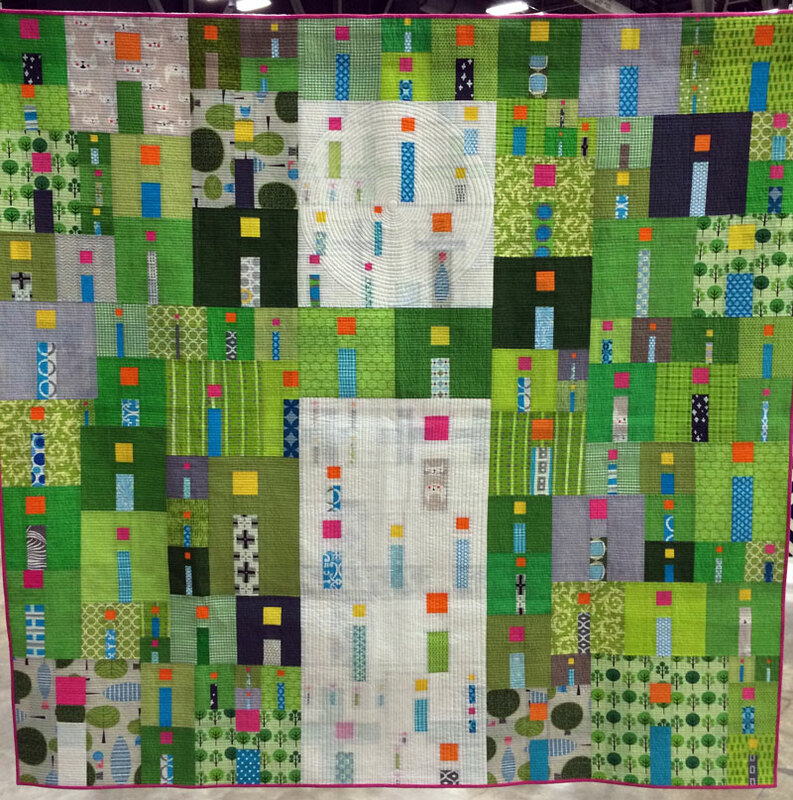 There were definitely more younger women than I see at most quilt shows, more women in their late 20s and early 30s. But in both workshops I attended, my guesstimate is that one-third of the students were 60 and older, one-third were mid-40s to 60, and the remaining third were mid-40s or younger. 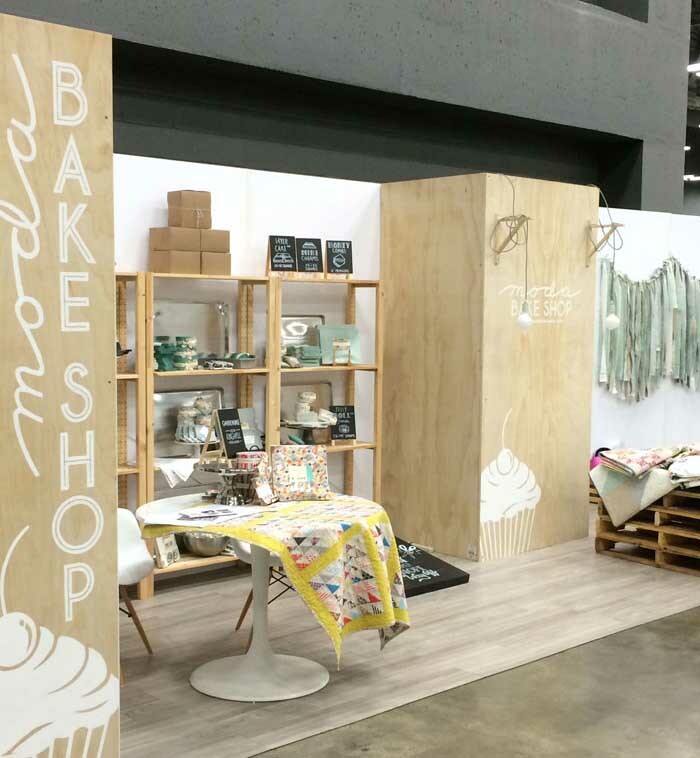 And from my vantage point in the Moda booth and walking around the convention center, I think the age-breakdown of the attendees was probably close to that. The best part was that there were so many groups of friends attending together, and a lot of moms and daughters. I met groups comprised of three generations of women – daughter, mother and grandmother. And there were so many more kids that I usually see at a quilt show – infants, toddlers and kids as old as eight and nine. And yes, there were a lot of men there too. The shopping? Terrific. Patterns and books, any kind of thread you could possibly want and lots and lots of fabric. I’d show you what I bought but rulers and templates aren’t very photogenic – I saw several Bloc-Loc rulers I hadn’t seen before. When I make something with any one of my purchases, you’ll be the first to see and hear about it. Scout’s honor. As for the quilts, it was a spectacular show. 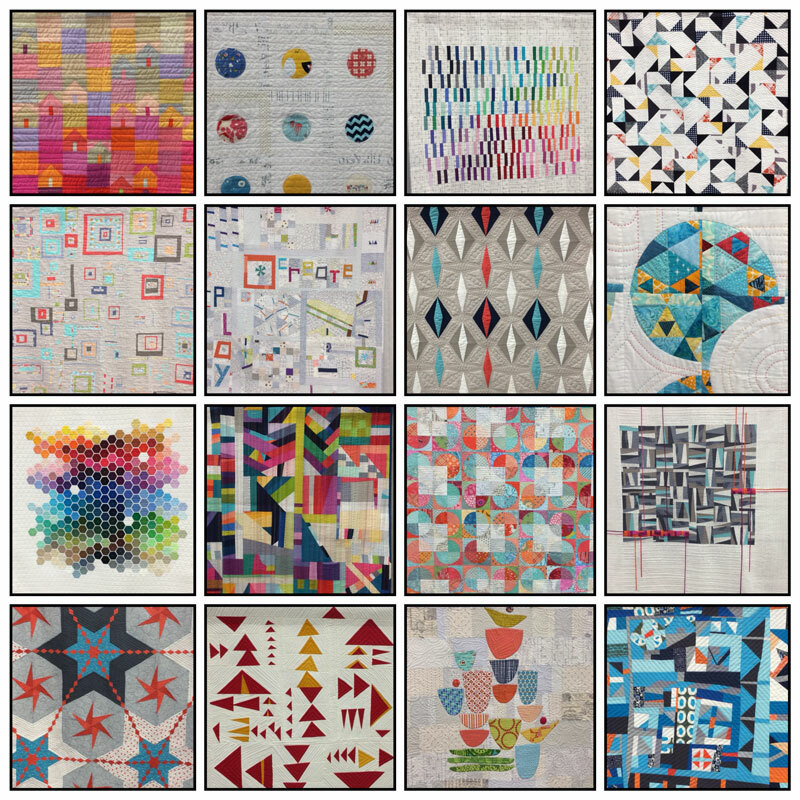 As it is with every quilt show, the very best quilts in the show were amazing – a stunning design well-executed by a skilled quiltmaker. I’m already looking forward to the next time. Oh I so wish I had been able to experience it too. I don’t expect that I’ll be able to go next year but my hopes are on 2017 when it comes east. It looks like a wonderful time was had by all!